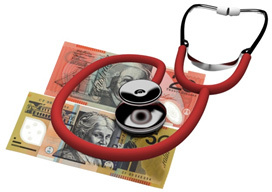 Health Insurance Costs Hitting Your Hip – Pocket? If you haven’t reviewed your health insurance for a few years, you’re probably paying for benefits you no longer need and you might not have the best cover for the benefits you use or need most. Even if you have the right health cover, you could simply be paying too much for it. Health funds regularly review and change the packages they offer, so why not exercise your power as a consumer and do the same? After all, we all look around for the best deal when our mobile phone or electricity contract is up for renewal! Simply click here, provide a few details and a health insurance specialist* engaged by David Dwyer & Associates will call you to review your circumstances and provide you with recommendations. There’s no cost, no obligation and it’s completely confidential. If you’ve got the right policy at the right price for your situation, they’ll tell you. If there’s a more suitable policy for you or a lower cost option available, they’ll make a recommendation. And if you’re new to health insurance, they’ll find a policy to meet your needs and budget. If you purchase a policy or swap funds, they’ll even handle all the paperwork. It’s that easy!